Bluehost and HostPapa are both web hosts that provide users a way to host sites for a low cost. For all their similarities, though, they both have their pros and cons. 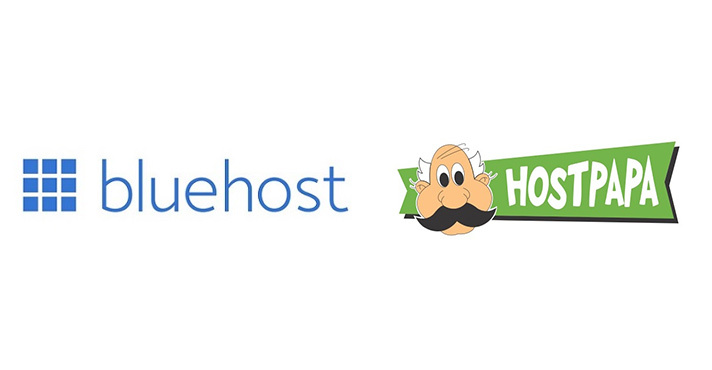 This BlueHost vs HostPapa comparison examines both hosts’ performance, prices, features, customer service, usability, and security to determine which one is worth your time and your money. Performance is perhaps where these two hosts differ the most. In terms of sheer speed, Bluehost takes the win here just by sticking with the industry norm. While you can get better speeds at higher tiers, what Bluehost typically offers is what you’d find with almost any other host. HostPapa, on the other hand, is just slow – it’s way down in the bargain tier of speed, with hosts that cost much less per month. While BlueHost certainly has its issues with downtime and maintenance, the fact that it has much better overall performance means that it’s a much better choice than the competition on at least this level. If you’re going to look at Bluehost and HostPapa, you’re going to look at two companies who essentially attempt to do the same things. These are both companies that tend to trend towards the lowest common denominator, with the bulk of their plans and advertising going towards new site owners who don’t necessarily know what they need. They don’t trick site owners, though – rather, they give novices all the tools they need to really dig into site ownership. Bluehost tends to do this through the use of multiple tools, while HostPapa seems to be all about the price. If you’re just looking for the lowest price, HostPapa wins here. HostPapa boasts that it has an array of advanced security tools, but most of what you’re getting is fairly standard for today’s market. It’s not bad at all, of course – you’re getting what you pay for if nothing else. It just pales in comparison to Bluehost takes security to the next level, easily competing with hosts that target far larger clients. Bluehost has everything from free WordPress security certificates to DDOS protection, all of which can be used with relative ease. In most cases, the security provided by HostPapa would be more than enough to give it the edge. When up against Bluehost, though, it just can’t compete. Bluehost is the winner here. HostPapa has a bit of an odd relationship with usability. On one hand, it definitely markets itself as an easy-to-use host. There are many things within the hosting package that looks like they’re made for novices, including a drag-and-drop builder. The host is, however, weirdly frustrating to use when you first start out. It doesn’t onboard users like you’d expect, making you jump through far too many hoops just get started. This stands in marked contrast with Bluehost. Bluehost makes absolutely everything easy, with plenty of tutorials and instructions for new users. It takes novice handholding to a new level, but it’s still robust enough to use if you’re a power user. All told, Bluehost just does usability better. Both of these hosts do a great job with customer service. Both have solid phone support and e-mail support, with HostPapa taking the edge with just a little more hand-holding. Both also have very nice DIY support, which is great for those who want to solve problems on their own. HostPapa does, however, really win on the latter count. It has a ton of great video tutorials that will walk you through most of the common problems users find and allow you to deal with things yourself. Bluehost has very good tools of its own, of course, but HostPapa really goes the extra mile to provide users with good DIY support. HostPapa and Bluehost have a lot of the same features, so this is one contest that comes down to the little things. While Hostpapa does a great job on pricing and customer service, Bluehost has all of the technical aspects in the bag. This means that when it comes down to the wire, you’re really going to want to go with Bluehost. As such, most users will be better off with that hosting solution. What do you think of these two hosts? Are they as closely matched as we thought, or was there a more clear winner? Be sure to let us know!